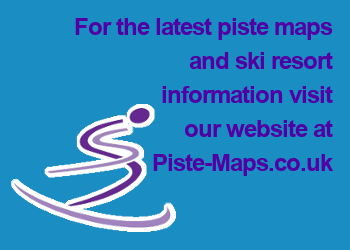 The Méribel Valley has more than 100 miles of interconnected pistes, making it a sizeable ski area without even taking the rest of the The Three Valleys into account (370 miles of interconnected pistes in total). The valley's north to south orientation means you can ski in the sun all day long. It also means that many of the slopes suffer from excessive sunshine in late season. However, with 80 per cent of the ski area above 1,800m and much improved snow-making systems, this is less of a problem than it has been in the past. There is a good mix of ski terrain above and below the tree line and the lift system is excellent, with plenty of new, quick chair-lifts. In good snow conditions, this circuit of greens and blues to Courchevel and back will give beginners with a few days' skiing under their belt a real sense of travel and achievement. Starting from Méribel Centre, take the Rhodos 1 and Rhodos 2 chair-lifts before dropping down the green Blanchot piste to the Loze chair, which brings you up to Col de la Loze. From here, drop down to Courchevel on the blue Col de la Loze and green Loze Est runs. After lunch in Courchevel, return to Méribel via the Chenus gondola, Col de la Loze chair and the long, blue Pic Noir piste followed by the green Forêt run. When skiing Meribel there are plenty of long gentle blues, but the route from Tougnète to Les Allues gives skiers a descent of more than 1,300 vertical metres, starting in a high Alpine environment and dropping down through meadows and fruit trees. Check that the Village piste into Les Allues is open before starting the route. Take the Plan de l’Homme chair-lift from Méribel Centre and warm up on the blue Grive piste down to the Tougnète 2 chair. Soak up the views of Mont Blanc from the blue Crêtes piste before descending Choucas and Escargot to the beginning of the Village blue, which drops into Les Allues. If the bottom of the piste is closed, take the Raffort piste into Le Raffort. Méribel has a great choice of red pistes – favourites include the long, relatively steep Combe Vallon, a joy in good snow, and the descent from Saulire to Mottaret via the Niverolle and Aigle reds or to Méribel Centre following the seemingly endless, quite challenging Mauduit red. The two long blacks on Tougnète, Ecureuil and Chevreuil, are really more like challenging reds and provide a variety of terrain starting on wide, open slopes below Tougnète and ending in steeper, tree-lined runs above Méribel. There is plenty of Skiing Meribel to keep experts happy – the valley is V-shaped, making for some steep descents, including many of more than 1,000 vertical metres. Experts should book a guide for the following routes: the Couloir Tournier from the top of Saulire towards the blue Biche piste above Burgin; the Col du Fruit route that drops off the back of Saulire and travels through the Tueda Natural Park and past the beautiful frozen Lac de Tueda; the Combe Cure route from Roc de Fer into Les Allues.